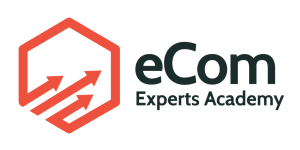 eCom experts academy is a great course. The founders take you step by step on how to start your own ecommerce store from picking a domain, hosting, choosing a platform, product research, how to generate leads and sales, Facebook marketing, and a lot more. eCom experts academy along with shopify store pro are two excellent courses for any beginner looking to start their own store or for the intermediate marketer looking to create multiple stores to flip/sell. Total product blueprint is a good course for people who are highly motivated and willing to take massive action. It’s not for the feint of heart. The course is jam packed full of information on how to take your knowledge and monetize it along with strategies for building your personal brand and a lot more. Both courses cover different strategies. Brendon Burchard places a larger emphasis on personal branding and monetizing your content. One course does not replace the other. In order to benefit from eCom experts academy, you will want to take Total Product Blueprint first to create content to sell and then take ecom by Austin Anthony, and other founders to sell those digital products. Keep in mind that you don’t need to sell digital products. Most people who take ecom experts academy (based on the Facebook group) are complete beginners. It is a good course for beginners and intermediate marketers. eCom is constantly being updated. Follow the lessons taught in the course and you will be successful. If I had to pick just 1 course I would go with either ecomexperts academy or shopify store pro. If you have the time go through both. Even though some tutorials overlap, it is good reinforcement to take them again and pick up extra tips. The course provides an over the shoulder approach to making money online from your ecommerce store. See some of the case study videos inside the course on how to build a store that generates $70/day overnight in 1 day and how to scale up from there. You can spend 1 month and many hours testing the wrong information or spend a little bit of money and learn everything you need to make a lot. The choice is yours. Be active daily on the FB groups and ecom membership sites. Contribute, test, share. Export from KW Planner, 1 column with kw’s, second column with commas, copy paste into audience insights. 1 of my Goals: Build a company worth 1 billion dollars by December 1 2025. If you’re going to aim for something, might as well aim big! How to get there: Spend time listening to billionaires or being around billionaires. I don’t currently know any billionaires personally but I can read their books or listen to their talks (or get coaching from someone mentored by them). One of the easiest methods that I recommend anyone give a try today on becoming more successful quickly is by looking at the people you currently look up to (those you read books on, watch videos on, go to seminars of, and so forth) and find the entrepreneurs who are far more successful than they are and start following them instead. There is no need to limit yourself to hanging around people that are coasting or wasting time learning only philosophies that sound old or recycled to you. Of course it is good to hear good things over and over but you will hit plateaus in your business or life and not even know why. You want to surround yourself with people who already have all the answers. You only need to know their philosophies to figure out the rest. So please, anyone reading this… Do me a big favor and STOP seeking clues on topics you don’t know about from people who might only know a little bit more than you! Instead, do your research and find out who are the ‘TOP of the top’ undisputed experts in that industry. These must be people who don’t just talk theory. Most importantly, make sure to avoid the people who have repeated the same crap over to themselves to the point where they believe what they say even if it isn’t true. Those are not your problems to deal with.